Videos are critical to online success. Google owns YouTube and it gives priority to video content in Google searches. Videos are also a very easy and engaging way to introduce your business and services to potential clients. Videos are shared 1,200% more than links and posts combined on Facebook. I can plan, direct, shoot and edit your videos as well as build your YouTube channel to house them. 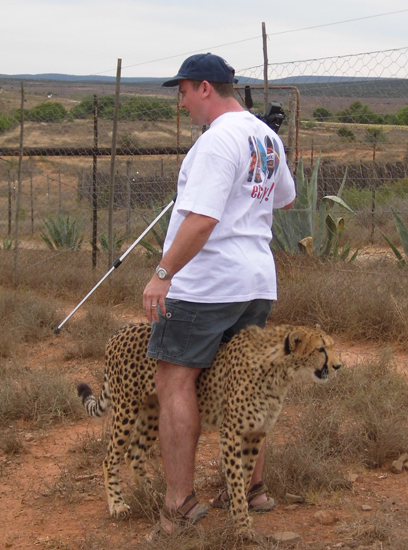 Shooting is not always straightforward, like when Gia the Cheetah decided she didn't want to film! I have made promotional videos with almost 500,000 views on YouTube alone. I spent a few days filming promotional videos onsite to create Daniell Cheetah Project's YouTube channel. I directed, filmed and edited all of the videos. "Gia, the most playful Cheetah in the World!" has had 100,000 views. Cats get clicks! My company, Get My Black Belt (formerly known as 6 Hour Black Belt) provides some of the best selling martial arts and self defence DVDs on Amazon globally. This is an early promotional video which has attracted almost 40,000 views. The Sensei Alex Buxton YouTube channel has had well in excess of 100,000 views.